More than 1,100 early childhood centers and preschools are operated by congregations and Christian day schools within The Lutheran Church—Missouri Synod. More than 87,000 children, ranging in age from infant/toddler to 5 years of age, are involved in these programs. Additionally, our congregations operate more than 700 elementary schools, which serve approximately 113,000 students. More than 650 early childhood centers and elementary schools are accredited under the National Lutheran School Accreditation program. Paragraph - Lutheran elementary schools are located across the United States and other countries. The LuthEd.org website provides Lutheran teachers with spiritual, academic and communication support. The website offers a growing array of resources, devotions and discounted services. Additional resources are being produced for the site. The School/Early Childhood Mailing, published monthly September-May, offers excellent resources and ideas for administrators, directors, pastors, teachers, board members and parents. Fearfully and Wonderfully Made — Resources for teachers and parents working with special needs students. 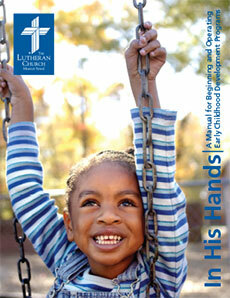 A Lutheran School Portal membership includes online access to the current and archived issues of the School/Early Childhood Mailing. Current and archived issues are accessed through the Lutheran School Portal. Contact LCMS School Ministry for more information. 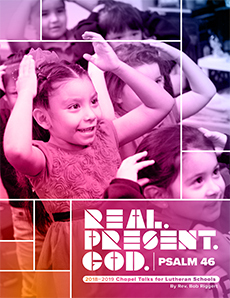 The 2018–19 “Chapel Talks for Lutheran Schools” explores the whole book of Psalms, with a specific focus on Psalm 46. It contains resources for individuals tasked with leading weekly chapel services for students of all ages in Lutheran and Christian schools. Bible verses, weekly hymns and speaking points make up only a portion of the great content of this resource. The author, the Rev. Bob Riggert, served for 15 years as executive assistant for Education, Youth and Stewardship for the LCMS Iowa District West. He is a former Lutheran school teacher, principal and parish pastor. Riggert wrote the Bible studies for the 2008 and 2011 LCMS National Children’s Ministry conferences; “Living as Children of a Generous God” stewardship resources for Lutheran Church Extension Fund; the “Chapel Talks” for 2014–16; and numerous other Bible studies and children’s ministry resources. Riggert is a graduate of Concordia University, Nebraska, Seward, Neb., and Concordia Theological Seminary, Fort Wayne, Ind. “Real. Present. God.” is available as a free, downloadable PDF. “Chapel Talks” is produced by the LCMS School Ministry. Permission is granted to reproduce “Chapel Talks” for use in LCMS school worship services. For more information about “Chapel Talks,” contact LCMS School Ministry at 888-THE LCMS (843-5267) or by email. National Lutheran Schools Week provides our network of nearly 2,000 LCMS preschools, elementary schools and high schools with the public opportunity to proclaim and celebrate God’s work among us in Lutheran schools. We thank God for the opportunity to provide excellent academic preparation for the children we serve. We are most grateful for the opportunity to share Jesus’ amazing love with children and their families. National Lutheran Schools Week gives us an opportunity to proclaim these great blessings within the communities we serve. Our schools are amazing incubators for faithful witness of God’s love for us through Christ by teachers and students alike. Jan. 26-Feb. 1, 2020 — Theme and Scripture verse to be determined. Jan. 24-30, 2021 — Theme and Scripture verse to be determined. Jan. 23-29, 2022 — Theme and Scripture verse to be determined. Why did the date change for NLSW? 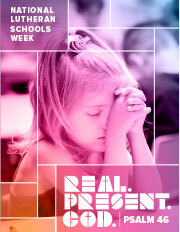 When National Lutheran Schools Week was established, the first week of March was chosen to coincide with re-enrollment time. NLSW provides a wonderful opportunity to share the unique story of Lutheran education through open houses and other events held within our communities and congregations. The trend in recent years has been to begin the re-enrollment process earlier in the school year. The celebration of NLSW during March may also conflict with the penitential, somber season of Lent. Therefore, the members of the LCMS School Cabinet made the decision to begin National Lutheran Schools Week on the fourth Sunday in January. As has been true in the past, schools may make the decision to celebrate this week when it best meets their needs. In His Hands is a resource manual for starting, expanding or improving a Christ-centered early childhood development ministry. This resource is available in a soft-bound book as well as in electronic PDF format. For more information about In His Hands, contact LCMS School Ministry at 888-THE LCMS or by email. 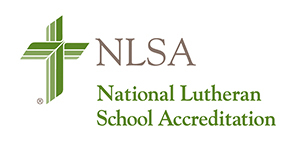 National Lutheran School Accreditation (NLSA) encourages and recognizes Lutheran schools that provide quality Christian education and engage in continuous improvement. It is completely voluntary and is available for every school operated by a single congregation, by an association of congregations, or by a Recognized Service Organization of The Lutheran Church—Missouri Synod or the Lutheran Church—Canada. NLSA serves a variety of levels of schools — early childhood, elementary and high schools and all combinations of the aforementioned. It helps Lutheran schools evaluate their academic quality and the spiritual dimension of the school. The standards and report forms are similar to other accrediting processes, both secular and religious. In 2014, the NLSA National Accreditation Commission adopted the Evidence Based Accreditation (EBA) process for LCMS schools. Read an explanation of the Evidence Based Accreditation process. For more information about NLSA, or to apply, contact LCMS School Ministry. Are you looking for NLSA-related downloadable documents? We’re currently working on adding these documents to the site. In the meantime, please contact LCMS School Ministry with any of your document needs. Thank you for your patience. 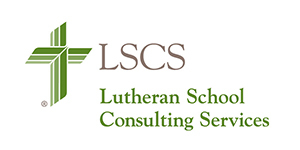 The purpose of Lutheran School Consulting Services (LSCS) is to strengthen and revitalize Lutheran schools so God's children are well served and His kingdom expanded. LSCS focuses on the school and its ministry. As schools are strengthened, so are congregations and their ministries. The assessment consultant’s observations during the visit. There are a variety of potential interventions. The LSCS director will seek counsel from the district education executive and the consultant who did the assessment in selecting the appropriate process, potential individuals or LSCS consultants best equipped to serve in that specific school. LSCS ministry ‘expert’ consultants have specific expertise to assist a school in developing and implementing strategic plans specifically designed for accomplishing the recommendations. This is usually a one- or two-day visit followed by continuing remote assistance and accountability. There is the possibility that several different consultants with expertise related to specific recommendations could be working with the school simultaneously. Schools interested in LSCS services must apply for the program. Applications are available online and through each LCMS district office. The district individual with responsibilities for services to Lutheran schools will be asked to sign the application and to support it before the process begins. Read the LSCS brochure or email LCMS School Ministry for more information about LSCS. 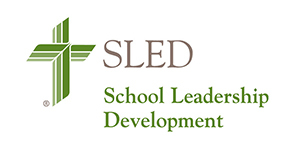 The School Leadership Development Project (SLED) seeks to identify and equip potential Lutheran school leaders. This is done through a process of nomination, selection and intense training over the course of an academic year. Those selected for the program are required to attend and participate at three specially designed training events and are mentored over the course of the project by well-respected, experienced Lutheran school administrators. Since 1989, the SLED Project has trained more than 600 elementary school administrators now serving in Lutheran schools. For more information about SLED, contact LCMS School Ministry.